The Artisans of Traditional Timber Windows for the 21st Century. The company specialise in supplying high quality bespoke timber sash windows and doors across the South East at trade prices. Whether it's a new build or a period property restoration requiring traditional windows and doors, we have a range to suit all properties and periods. At Medina Joinery we specialise in all areas of Joinery manufacture to offer our clients a professional, modern solution to their joinery requirements. We work within a full range of cutting edge and traditional materials, from hardwoods, softwoods, composites, veneers, solid surfaces and glass. We combine all this with a full spray finish facility where we can offer a high specification finish in a number of paints and lacquers to any colour. Looking for bespoke, stunningly designed, secure and environmentally conscious windows and doors for your unique property? Dancor Window Systems is the specialist supplier of high quality energy saving products for domestic, commercial and industrial buildings. KJM was formed in 1982, taking its name from the three founding directors Ken Hammant, John Creasey and Mick Burrell. Since its inception KJM have won many awards for customer service including the recent Inspire Business Award. Run by Managing Director and owner Mark Pearce, Mark joined our company in 1983 and has a vast wealth of experience in management, sales, manufacturing and installation. Our success has been brought about by many factors, but Mark believes that the main reasons are the loyalty of the staff that the company employs and the quality of products that we install. Installation Manager Lee Seffron has worked for the company for over 20 years, while four of the company's installers Andy, Kerry, Lester and Rob have worked for the company for a similar time. Russell Hemming KJM's Operation Manger returned to KJM in 2013. The building team Anthony and Colin have both been employed by the company since 1998. Mark is selective about the suppliers KJM uses in order to ensure the highest quality and, whilst naturally conscious of costs, he relies on the old adage that "cheapest is not always the best”. KJM offers one of the most comprehensive warranties in the business (we have been trading for almost three times the length of our warranty) and honour our commitment to you the customer. KJM have carried out projects for several large commercial operations including Winchester City Council, Peverell (part of McCarthy & Stone), RLHA, Grainger PLC (UK’s largest listed residential landlord) and The Diocese of Winchester, who have entrusted KJM to renew vicarage windows throughout the south of England since the mid 1980s. We, understand the principle that people may require a quotation to find out a cost and not be bullied into making a purchase. Customer service is paramount to KJM as we rely on most of our business coming through recommendation. No one can promise that every job will run absolutely perfectly - even the best has the odd hitch on rare occasions, but we can assure you that we strive for complete customer satisfaction. The consequence of our efforts is that more than 80% of our work comes through recommendation or existing customers returning to us again! We manufacture bespoke joinery products made to measure.Our in house spray team offer the choice of any colour for all our external products. Our close working relations with many Award Winning Architects & Interior Designers has gained us our reputation as a leading Joinery Manufacturer in the South UK. Our team of fully skilled craftsmen ensure that every project is made by hand and to the highest standard. About KJM Windows, Doors & Conservatories KJM was formed in 1982, taking its name from the three founding directors Ken Hammant, John Creasey and Mick Burrell. Since it's inception KJM have won many awards for customer service. Originally manufacturing our own windows on West Portway Industrial Estate in Andover, the company concentrated on uPVC windows as we were unable to manufacture anything else. In these early years, KJM won some substantial commercial contracts - the most notable being from Winchester City Council for whom we manufactured and installed hundreds of windows. Many streets in Winchester still have KJM windows to this day. Double glazing Trustmark. Over time the economics of manufacturing on a relatively small scale proved not to be cost-effective and, with many new materials becoming available, and customer trends requiring a more diverse range of products, we ceased manufacturing in 1996. This move enabled KJM to offer a much larger product portfolio. 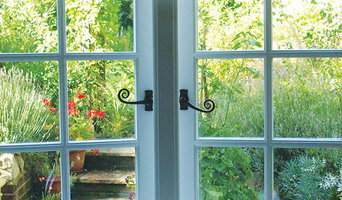 Today we can offer a huge range of windows, doors and conservatories in uPVC, aluminium and hardwood. KJM's largest supplier manufactures from their base in Wellingborough (near Northampton) and produce high-quality G14 Installer of the year finalist windows to the company's own specification. They are a quality supplier and have won many awards for their products and services. KJM is run by Managing Director and owner Mark Pearce. Mark joined our company in 1983 and has a vast wealth of experience in Management, Sales, Manufacturing and Installation. Our success has been brought about by many factors, but Mark believes that FENSA Hampshire the main reasons are the loyalty of the staff that the company employs and the quality of products that we install. Installation Manager Lee Seffron has worked for the company since he left school (over 20 years), four of the company's installers Andy, Kerry, Lester and Rob have worked for the company for a similar time. 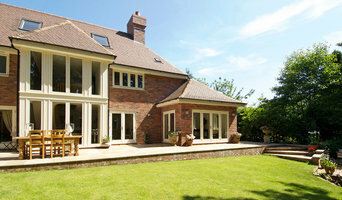 South Coast Bi-Folds is a family run company in the South of England. Making the best of our beautiful area with a range of bi-folding doors to suit every home and budget. Adding a simple change to your home can add not only a whole new dimension to the feel and look, but also the value. We are a family run business & have been performing high quality installations since 2002. All of our items are made to measure & will be bespoke to your property. We use excellent quality products and have an experienced team of installers. We pride ourselves on the quality of our work and our outstanding service and aftercare. Since 1985, Designer Windows Limited specialise in providing full double glazing services to many satisfied customers all over the Hampshire including Chichester, Petersfield, Fareham, Portsmouth, Hayling Island and beyond. Double glazing and related services that we can provide include design and build of conservatories, installation of UPVC double glazed windows and doors, replacement of fascias and guttering, and much more. Customer Care Our Customer Care Policy We aim to meet our customers’ needs with efficiency, effectiveness, fairness and courtesy by: Not quoting inflated prices and offering unrealistic discounts Offering our best prices from the outset and refusing to use any hard sell tactics Providing an efficient and friendly service at all times from initial communication to final installation and thereon after Endeavouring to meet your requests and expectations Dealing with any queries accurately, promptly and efficiently Respecting customer confidentiality Welcoming customer feedback on our services and suggestions for improvement and development Striving to guarantee total satisfaction to all our customers Service Engineer Our commitment to you does not end once your installation is completed. In the unlikely event of a problem you can feel rest assured with your ten year guarantee that our own Service Engineer will carry out any remedial work necessary. Company Guarantee Upvc profile carries a ten year guarantee provided there has been no misuse or abuse and has been regularly maintained. The efficiency of the sealed unit is guaranteed for a period of ten years from date of delivery to the customer. Insurance Backed Guarantee – GGFi What is an Insurance Backed Guarantee? 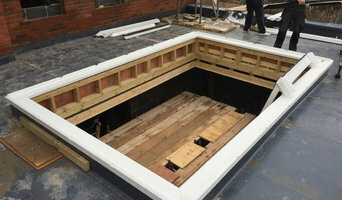 Under the changes in the Building Regulations that came into effect in April 2002, every consumer must be offered the opportunity to purchase an insurance policy to cover their installer’s guarantee/warranty should the installer, for some reason, be unable to fulfil its guarantee obligations. What does it cover me for? Our 10 year Guarantee Insurance covers all that the Installer offer in their own warranty/guarantee, but will become operational in the event that they cease to trade within the period of insurance. It also covers for any deposit that you have paid to the Installation Company for up to 25% of the contract price or £6,250 whichever is the lesser. How do GGFi pick their installers? In everybody’s’ interest, GGFi and our Underwriters have a strict vetting policy before they can approve any Tradesman onto their system. Who underwrites the GGFi policies? GGFi policies are underwritten by IGI insurance company and Redsands Europe. Priority Window Films are authorised suppliers and installers of Johnson Window Film products, we offer this service in Southampton and surrounding areas across the South of England. Offering various types of window films such as, solar / glare control window films, Privacy window films, UV protection window films, Safety and Security window films including bomb blast window films, designer coloured window films and tinted window films for the following markets, Commercial Window Films, Residential Window Films, Marine Window Films, Digital Glass and Wall Graphics, Bespoke Manifestation Glass Graphics. With over 35 years’ experience in the window film and window tinting industry we can provide our expertise and advice to help solve any glass related problems you may have, including free surveys and help with finding the right window film for you and your project. Specialist processors of high quality toughened and cut to size glass for a wide range of decorative, architectural and safety applications. Our product range includes toughened glass in thicknesses from 4mm to 19mm, toughened mirror glass, laminated glass balustrades and floors, coloured glass, satin frosted glass, painted and digitally printed glass splashbacks and panels. Our state-of-the-art factory boasts the very latest technology including CNC and water jet machines, a Laminating plant, polishing and bevelling machines and a processing plant capable of toughening float glass of all thicknesses up to 4.5m x 2.5m. Based in Portsmouth, we offer a high-quality product and service with a fast turnaround and deliver regularly to customers throughout the South East. The importance of the right windows to the appearance of your home can’t be overlooked; their arrangement giving symmetry and character to a building. And of course they also perform valuable functions such as letting light into the home and ventilation. But if your home still retains its original period sash windows, and you don’t have double glazing or secondary glazing, your windows can also make for noisy days, chilly evenings and sizeable energy bills. So, when you do want to upgrade or replace your windows, which way do you turn? Experienced Southampton, Hampshire window companies and glaziers will be able to advise you when to restore or repair your windows, and when to replace. If it is to be the latter, your replacement windows will be intended to last, so it’s not a decision that should be taken lightly. You want to make the right choice for your new windows, whether you opt for replacement sash, uPVC windows or a double glazed windows upgrade. So be sure to choose the right Southampton, Hampshire window companies and window manufacturers and you’ll sleep better at night, not least because you will be protecting your investment for years to come. What can specialist window companies, glaziers or window fitters in Southampton, Hampshire do for me? Specialist Southampton, Hampshire window companies and fitters can diagnose problems and prescribe a choice of remedies, while keeping in mind factors such as the style of your property, ease of operation, budget, noise reduction, thermal efficiency (the lower the U-value, the better), durability and maintenance. It is a balancing act that only a glaziers can deftly strike. Most Southampton, Hampshire window companies will be able to take care of both supplying and fitting your new or replacement windows, but if you have already purchased your windows from a window manufacturers then you can find a Southampton, Hampshire fitter to just take care of the installation. 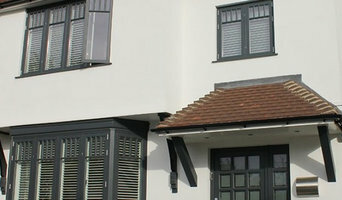 Where can I find the best choice of Southampton, Hampshire window manufacturers and window installers? Right here on Houzz. Look for Southampton, Hampshire Windows & Double Glazing professionals in the Find a Pro category and then save images of window styles you love in an Ideabook. Take time to look through each window company’s profile and get a sense of where their strengths and specialisms lie. Make sure your window manufacturers’ work comes with accreditation: whether from FENSA (Fenestration Self-Assessment Scheme), FMB (Federation of Master Builders) or TrustMark. Find window companies and glaziers on Houzz. 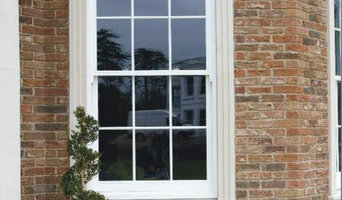 Narrow your search in the Professionals section of the website to Southampton, Hampshire window companies. You can also look through Southampton, Hampshire photos by style to find new and replacement windows you like, then contact the glaziers, window manufacturers or companies who installed them.